Welcome to Nantucket PowerChoice, a local electricity program that gives Nantucket residents and businesses an electricity supply option that provides specific community benefits, such as cost savings, price stability, strong customer protections, increased competition, and support for local solar projects. The program is a municipal electricity aggregation, a form of group purchasing in which a municipality competitively procures an electricity supplier on behalf of its residents and businesses. Through a solicited bidding process held in March 2018, the Town chose to execute a 24-month contract with Direct Energy for 9.05 ¢/kWh. This price will be reflected in the “Supply Services” charges on your National Grid electric bill from May 2018 through May 2020. PLEASE NOTE: Although the program’s electric supplier is Direct Energy, National Grid remains Nantucket’s electric utility company for electricity delivery, power outage repairs, customer service and billing. All new National Grid Basic Service customers in Nantucket will be automatically enrolled in Nantucket PowerChoice unless they choose not to participate, or opt out. If you do not participate: You may opt out of the program before being enrolled or any time afterward with no penalty. National Grid Basic Service customers who do not participate will remain on National Grid’s Basic Service rate. Learn how to opt out. The program price has the potential to be below National Grid’s Basic Service price. However, National Grid’s prices change every 6 months for residential and commercial customers and every 3 months for industrial customers. Nantucket PowerChoice will eliminate that seasonal volatility with a fixed program price, but that price may not always be below the National Grid Basic Service price. As a result, savings cannot be guaranteed. The competitive procurement process ensures a vetted, transparent alternative to National Grid’s Basic Service with no hidden costs. PowerChoice: This is the default option. All program participants are automatically enrolled in PowerChoice. Like National Grid’s Basic Service, PowerChoice meets the minimum Massachusetts requirements for integrating renewable energy. PowerChoice Green: This option allows you to make your electricity 100% green with a focus on renewable energy produced in New England. Learn about program options and pricing. Your primary relationship for electricity remains with National Grid. Your bill will continue to come from National Grid. You will continue to send bill payments to National Grid. You will continue to call National Grid if your power goes out. If you are on a budget plan or are eligible for a low-income delivery rate or fuel assistance, you continue to receive those benefits as a participant in Nantucket PowerChoice. 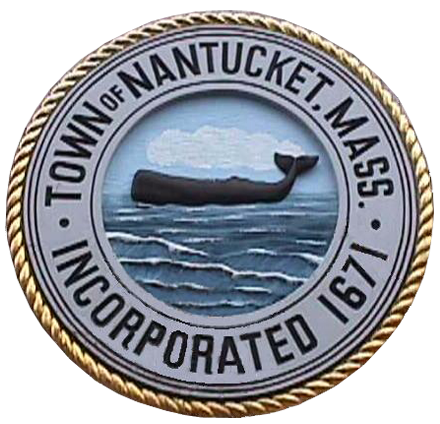 At program launch in March 2017, all residents and businesses on National Grid’s Basic Service were automatically enrolled in to Nantucket PowerChoice. Since then, the program has continued to automatically enroll all new National Grid accounts, typically within two to three billing cycles of the account being opened. Have a contract with a different electricity supplier? You will not be automatically enrolled in the program, but you are welcome to join. Before joining, we recommend that you carefully check the terms and conditions of your supplier agreement. Your ability to terminate your agreement with your supplier may be restricted. If you wish to join, please call Direct Energy at 1-866-968-8065 and ask to be enrolled. New to the island? In opening a new account, you will initially be placed on National Grid’s Basic Service. You will receive a letter in the mail explaining Nantucket PowerChoice and your right to opt out. If you do not opt out, your account will be automatically enrolled into the program, typically within two to three billing cycles of being opened. To request faster enrollment, you may also contact the program electricity supplier, Direct Energy, at 1-866-968-8065. Adding an electricity account? You will receive a letter in the mail explaining the program and your right to opt out for that account. If you do not opt out, your new electricity account will be automatically enrolled in the program, typically within two to three billing cycles of being opened. To request faster enrollment, you may also contact the program electricity supplier, Direct Energy, at 1-866-968-8065. This is PowerChoice price for all customers, residential, small business, and medium and large business. You may choose 100% green energy with PowerChoice Green for 9.55 ¢/kWh. * Prices include 0.1 ¢/kWh to support Nantucket’s local Solar Rebate Program. Contact the Nantucket Energy Office, call the Town’s consultants at 1-844-241-8598, or submit your question online.